For those who haven’t seen it, the series is a nostalgia-heavy story of adventure, sci-fi monsters, and coming of age in a small town. Set in the 1980s, a group of pre-teen boys are spurred to action when their friend goes missing and the local police seem unable to help. 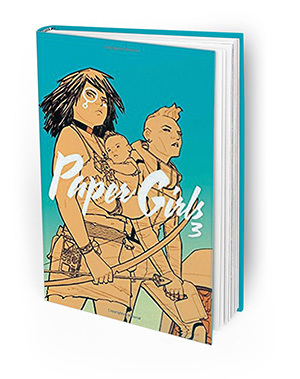 At almost the same time that “Stranger Things” gained popularity in 2016, an independent graphic novel series called “Paper Girls” by Brian K. Vaughan and Cliff Chiang was published. Also set in the 1980s, it focuses on a group of teen girls who deliver newspapers and come across all manner of mayhem caused by time travelers from the future. Mutated juvenile delinquents, robotic attack drones, future doppelgangers, and misplaced dinosaurs all menace our confused yet spunky heroines. Readers will recognize “Stranger Things” themes of young people fending for themselves without adult help in the face of horrific scientific peril. “Stranger Things” was clearly influenced by Steven Spielberg’s wholesome adventure movies, but most obviously “E.T. the Extra-Terrestrial.” If you swapped out the short rubbery alien for a bald pre-teen psychic, you almost wouldn’t notice the difference. 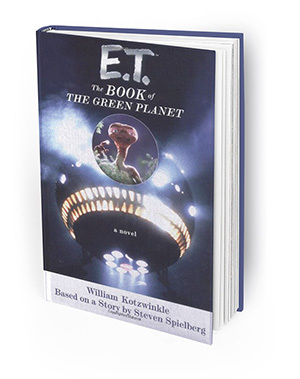 So I’ll dig deep for this one and mention its obscure sequel-by-novel, “E.T. : The Book of the Green Planet” by William Kotzwinkle. I remember reading this one as a pre-teen myself, about the adventures of E.T., now safely returned to his home planet to resume his career as a botanist, and his human friend Elliott dealing with suburban life and the stresses of puberty. Facing scorn from his fellow aliens for his earthly adventures, E.T. begins plans to try to reunite with his old human buddy, and family-friendly high jinks ensue. You get to see a strange new world, and finally see a little of the internal life of the popular alien. 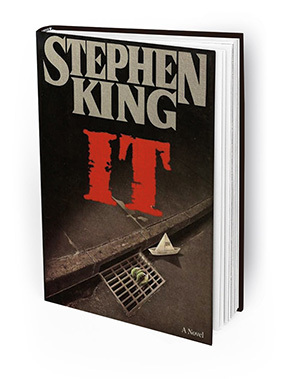 Another key influence on “Stranger Things” was undoubtedly the Stephen King classic “It,” which is enjoying its own remade revival this year. “It” is another tale of suburban youth who use the power of friendship to defend themselves from a murderous pointy-toothed creature, and have to do so all by themselves because no adult will believe them. 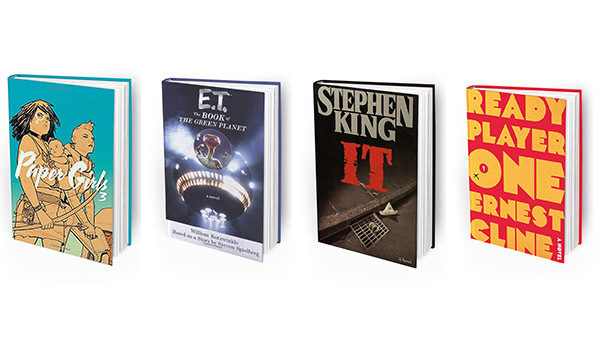 But the kids of “It” grow up, and later in the book must face the monster again as adults, much like several adult characters of “Stranger Things” face their own parallel fight with the monster. 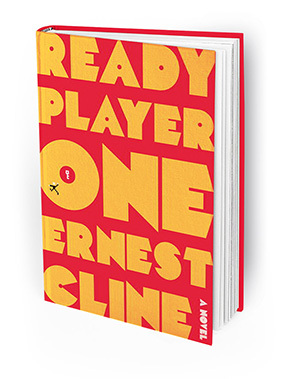 And finally, if “Stranger Things” has awakened your fondness for ’80s pop culture, “Ready Player One” by Ernest Cline is like ’80s nostalgia concentrate. It’s a sci-fi adventure novel set in a future where everyone is obsessed with virtual reality, and live their lives drenched in the images, sounds and stories of Generation X. Our main characters try to solve a mad scavenger hunt/puzzle game across the virtual universe, traipsing across the worlds of “Back to the Future,” “Family Ties,” and “Voltron” set to a soundtrack of Duran Duran, Kajagoogoo and Def Leppard. Naturally, this book about media obsession has been turned into a movie that should hit theaters in our present decade. A Winter Wonderland will take place at the library on Saturday, Dec. 2 from 11 a.m.–noon. Santa will visit for pictures, and kids can decorate cookies and make crafts. There will be holiday cheer for adults as well on Saturday, Dec. 9 at 1 p.m., as William S. Young plays Christmas favorites on the piano at the library. This is the perfect warm-up to Holiday in the Village, which is happening that weekend in La Mesa Village from 10 a.m. to 10 p.m. on Saturday and 10 a.m. to 6 p.m. on Sunday. Holiday events at the library are made possible through the contributions of the Friends of La Mesa Library. Stop by the bookstore and show your support! — Jake Sexton is librarian at the La Mesa branch of the San Diego County Library. Call the library at 619-469-2151, visit in person at 8074 Allison Ave., or get information online at sdcl.org.